Each year Wake Forest awards merit-based scholarships to less than 3% of its first year applicants; the recipients will benefit greatly from a Wake Forest education even as they contribute significantly to the intellectual and civic life of the campus. 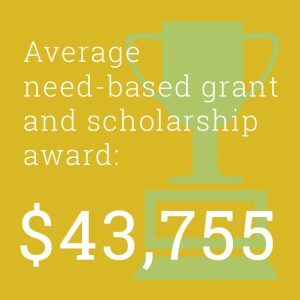 These scholarships, among the highest honors given to Wake Forest students, are renewable through four years, subject to satisfactory academic, extracurricular, and civic performance. Most scholarships (including the Reynolds, Carswell, Stamps, and Gordon scholarships) do not require a separate merit-based scholarship application. Instead, students need only submit a complete application for undergraduate admissions by December 1. 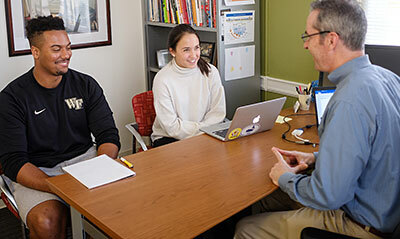 Although an Admissions interview is not required in order to be considered for a merit-based scholarship, the majority of our scholarship recipients complete the interview process as part of their application to Wake Forest. Finalists for scholarships that require more comprehensive interviews or auditions will be notified by the end of March. Though criteria differ slightly, the programs all recognize extraordinary achievement, leadership, and talent. Candidates embody those qualities that have led their predecessors since 1986 to thirteen Rhodes Scholarships, three Marshall Scholarships, twelve Truman Scholarships, and over ninety Fulbright Scholars along with Gates, Goldwater, Beinecke, Luce and other honors. To learn more about previous graduates of our merit-based scholarship program, please visit the Wake Forest Scholars Program website. 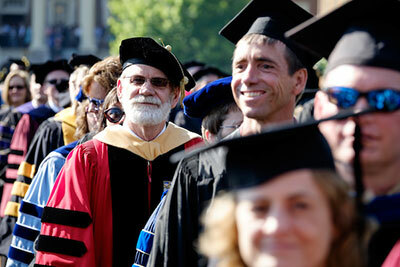 Some merit-based scholarships consider demonstrated financial need as a determining factor. A family can quickly determine whether or not they have demonstrated need by using the WFU Net Price Calculator. All applicants who believe they will qualify for need-based aid are encouraged to apply for need-based aid by completing the CSS/PROFILE and FAFSA forms to demonstrate financial need. Applicants should file a PROFILE by January 1, so that need may be determined before the selection of finalists. Applicants should also complete the FAFSA by January 1. 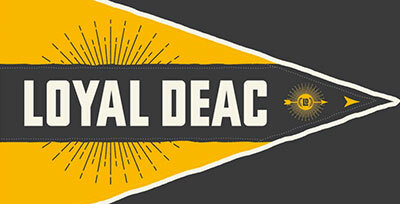 Please refer to the Introduction to Need-Based Financial Aid page for additional information. The Presidential Scholarship for Distinguished Achievement, our talent-based award, requires a separate application. Preference will be given to applicants who apply by November 15. Applications received past November 15 will be considered as talent areas allow. The William Louis Poteat Scholarship, an award for North Carolinians active in the Baptist church, requires a recommendation form be completed by a member of the applicant’s church. 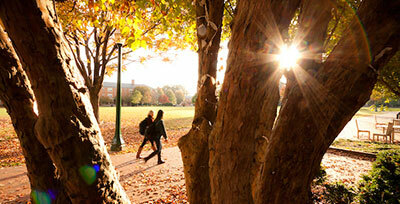 Wake Forest also provides Army ROTC Scholarships for qualified applicants.